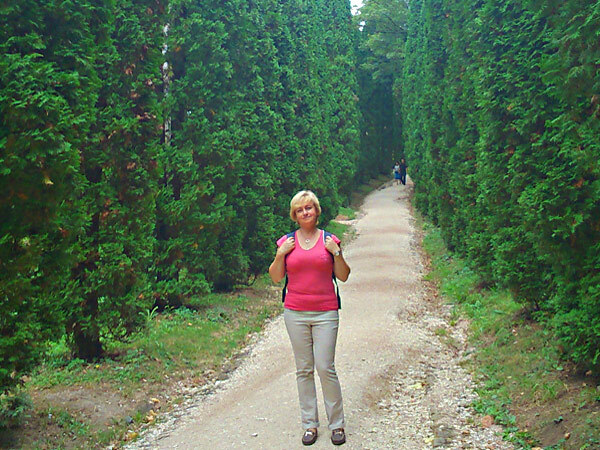 The following morning we met our guide for a long walk in the Kislovodsk resort park which has a giant territory of 3,700 sq hectares – the biggest man made park in Europe! We were amazed how well preserved the park is. The routes are so many with different landscapes/vegetation that you can hardly repeat one after great numbers of visits. 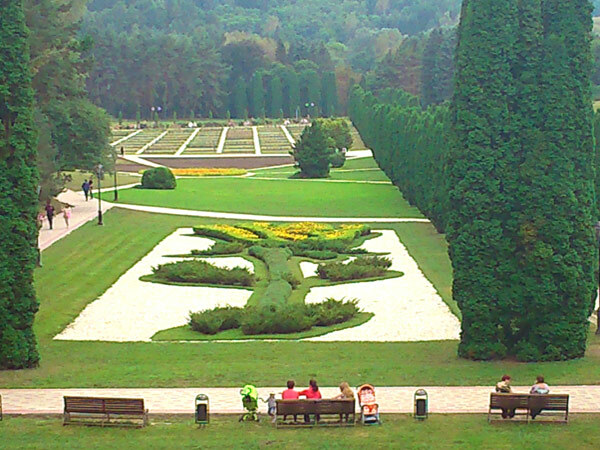 The impressive 200 year old trees, picturesque flowerbeds, the whole rose valley – one could admire the views every second! In the afternoon after lunch we drove to the outskirts to see Honey waterfalls - 5 marvelous waterfalls of different height. On the way to it we stopped to see natural marvel of Ring Mountain. Another stop was mysterious Rim Mountain, where in the 6th century ancient Alan settlement was located. 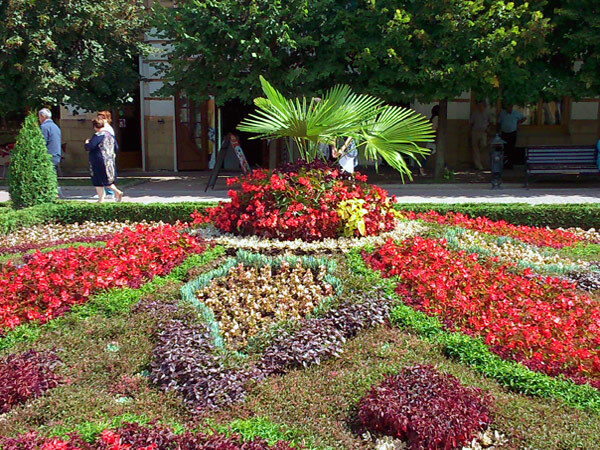 One can have an opportunity to rest, taste national cuisine, visit ethnological museum or local farm yard. After the waterfalls we arrived at Tea House with small shop to offer great variety handpicked herbs, homemade jam and honey. We had a very tasty national meal here. 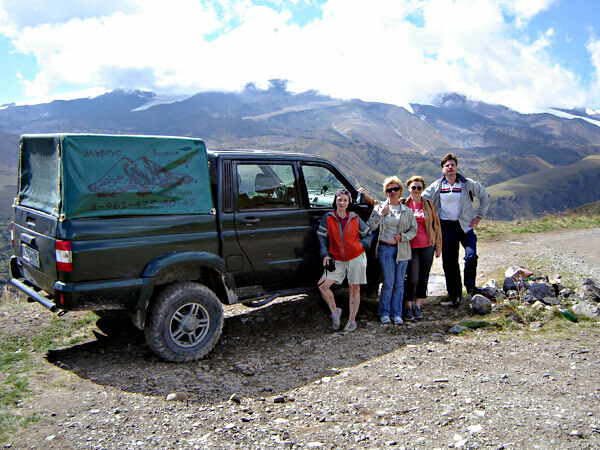 On the 3d day we had a fantastic tour of the valley Djily-Su of Northern part the Elbrus mountain vicinity in 4W vehicle. We couldn’t help being surprised at our driver Sergye’s driving skills and knowledge of the region, his enthusiasm and never-ending stories and legends of the local people and mountains. 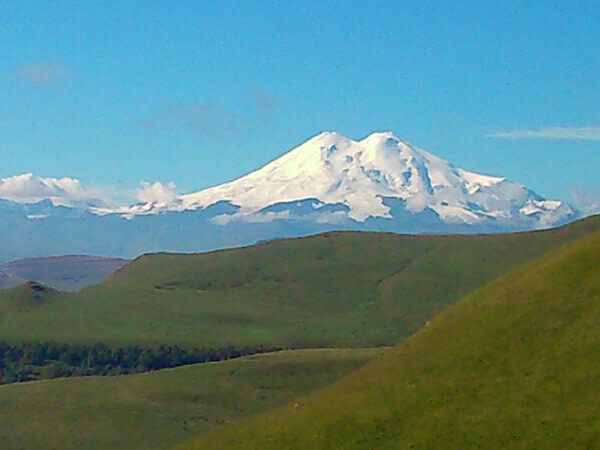 The weather again was perfect – 20 degrees, sunny, the magnificent Elbrus was clearly seen at a distance. 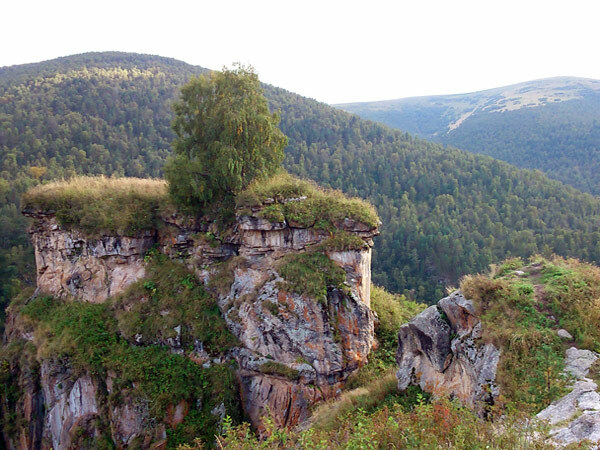 The northern part of the valley is not that spoiled by visitors/civilization compared to south of Elbrus and one could hardly meet any other travellers here. 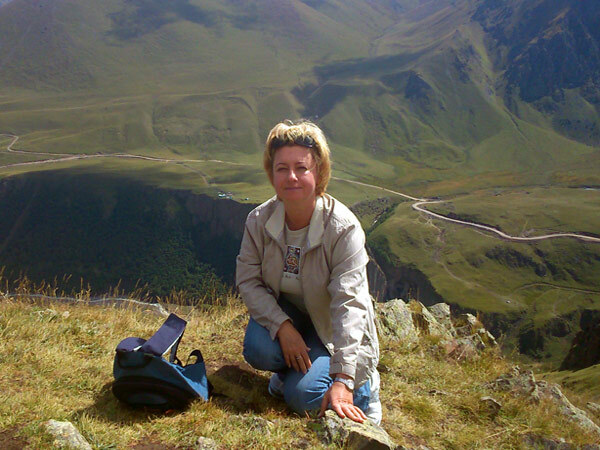 We were also pleasantly surprised at the quality of roads at the height of 2,500 meters! No comparison to what we have some times in Moscow suburbs. 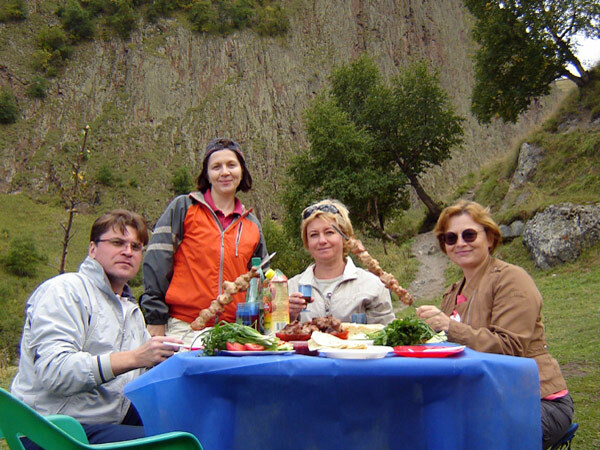 After several stops we arrived in a beautiful valley where the most delicious shaslyk was cooked for us in the open. 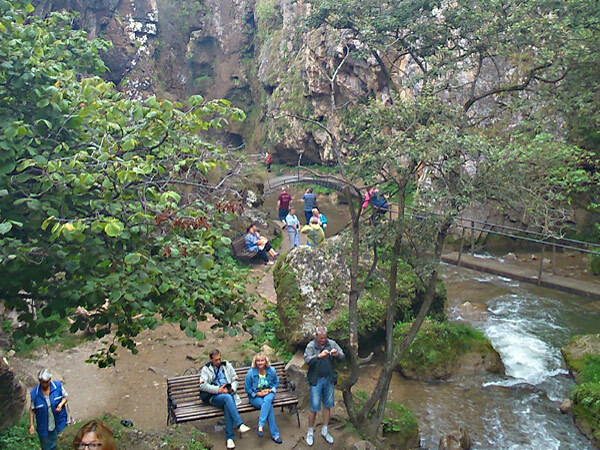 There were just a couple of local people together with us in the whole valley. 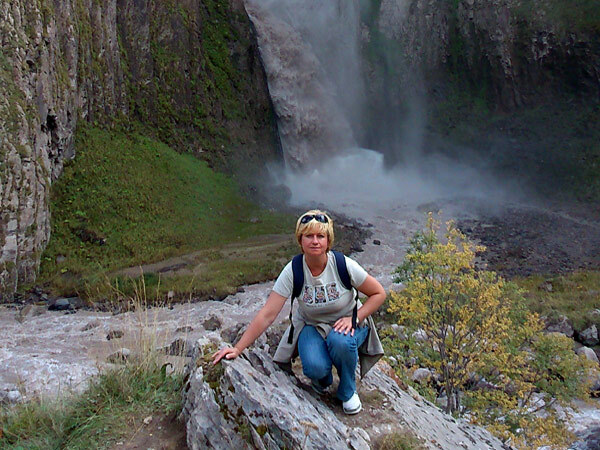 We had a walk to a very beautiful waterfall and couldn’t make us leave the place – so impressive the view was! 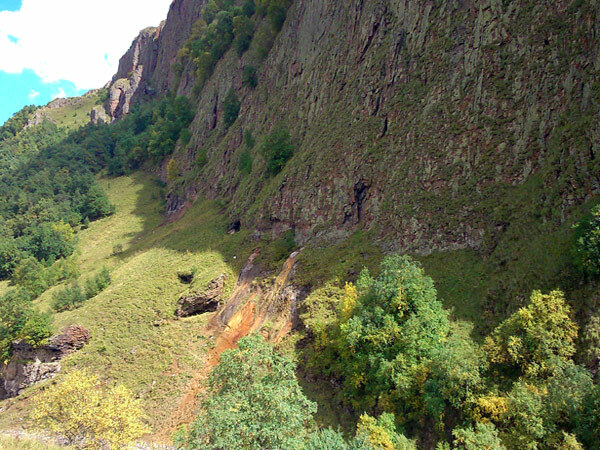 The following day we had a trip to all other 3 towns of what is collectively called Caucasus Mineral Waters – CMW – Essentuki, Pyatigorsk, Zheleznovodsk. All three towns boast to have variety of mineral springs and have been centres of recreation since 18-19 centuries. 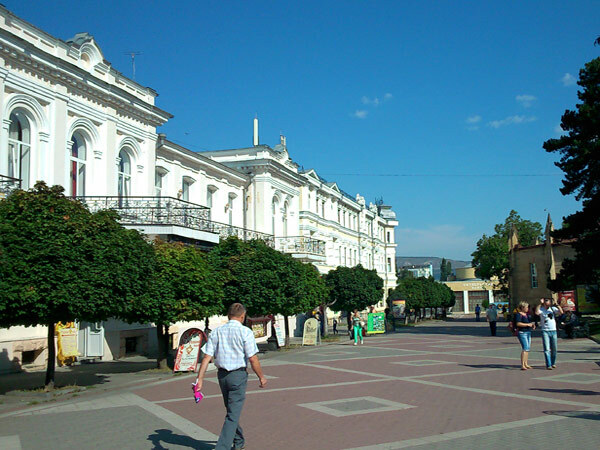 Lots of Russian wealthy people as well as celebrities were coming here every year – Lermontov, Shalyapin f.ex. and once can visit the genuine houses where Lermontov lived and Shalyapin’s dacha which he rented for summer. The cities have a number of 19-eraly 20th Art Nueavue style. On day 4 we had to part with this beautiful region with gorgeous mountains, picturesque valleys, pleasant climate, hospitable local people and interesting combinations of nationalities and cultures!